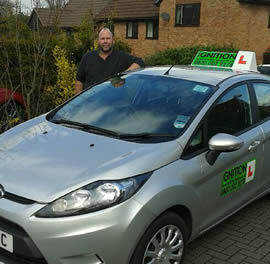 Ignition Driving School provides driving lessons in the beautiful historic town of Chester. As a popular tourist destination, learning to drive in Chester can be quite challenging with its road systems and pedestrianised areas. With Ignition Driving School, we'll not only work hard to get you up to driving test standard but we'll show you how to drive safely and spot those potential driving hazards. Taking driving lessons Chester with Ignition Driving School means you're in good hands. We have fully qualified, highly trained, driving instructors, helping pupils of all ages and experience, learn to drive in Chester and its surrounding areas. 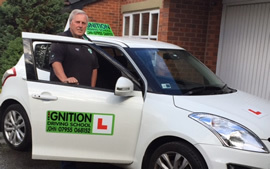 You won't be left climbing Chester's City Walls either as Ignition Driving School has extra support for you, including FREE theory help and FREE driving lesson aids, to help you throughout your course of Chester driving lessons. In fact Ignition Driving School is your one stop shop for learning to drive in Chester and can cater for all your needs. We offer weekly, hourly driving lessons and intensive driving courses in Chester, where you can get up to driving test standard in a shorter space of time. Prices on these courses start from as little as £320 and include a driving test and 10 hours of driving lessons. If you have already passed your driving test though we can also run Pass Plus driving courses too, so whatever your ability we're here to help. You will find all the information about Ignition Driving School and our prices on this website, just click the relevant links to take you where you need to go. We hope to be teaching you very soon. Best driving instructor I've ever had! Was very good at dealing with my emotions and feelings. Very good at explaining things with his little anecdotes! Would recommend to anyone. Passed first time. Couldn't have done it without all the great tuition.Highly recommended. He was an excellent instructor and really nice to get along with. He doesn't rush you, he helps you take it at your pace. Hi dan, thanks so much for your time and especially patience, ha!.Can't believe i passed first time. thanks again. Just wanted to say thanks for all the time and effort you put into me.